Aweber is a leading marketing automation tool. 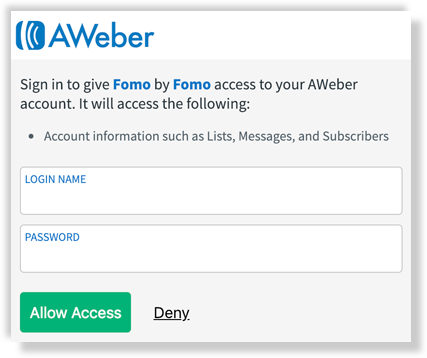 Connecting Aweber to Fomo is simple, and requires no coding. While logged into Fomo, navigate to Integrations and search for "Aweber." Log into Aweber using your Aweber credentials. Fomo will not have access to your credentials, nor will Fomo be able to send or manage any of your email campaigns. 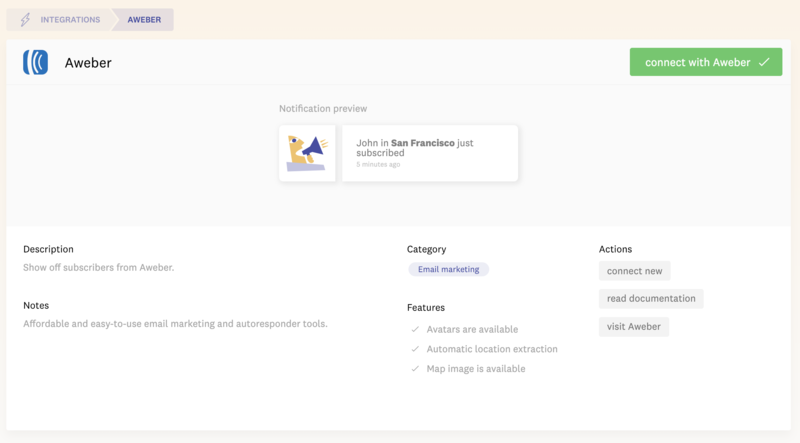 Going forward, Fomo will import new email subscribers as they happen, and show them off on your website based on your settings and page rules. If you'd like to pull in more attributes from your email list, let us know and we'll be happy to help.